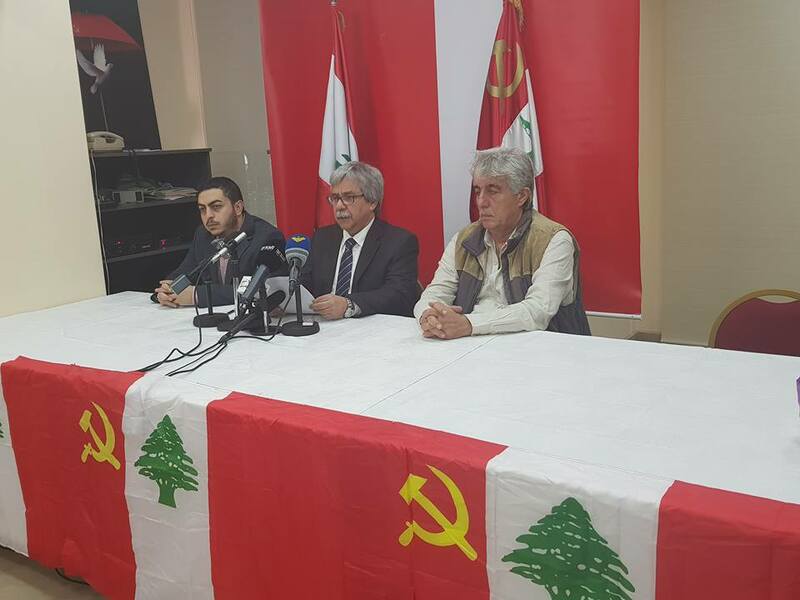 The Lebanese Communist Party held a press conference on April 13 and called to stop the American and Western escalation. The LCP condemned the US and Western threats and the decision of aggression against Syria, calling for a proactive communication and consultation with all national political forces. The press briefing also discussed the position of LCP at the Paris 4 Conference, underlining that the aggravation of the economic situation in Lebanon is not due to the crisis of Syrian displacement in particular, but preceding this crisis, du to the financial and trade deficits and balance of payments deficits, unemployment and migration of youth.